I had to laugh at “apoplectic trumpeter”–poor fellow! 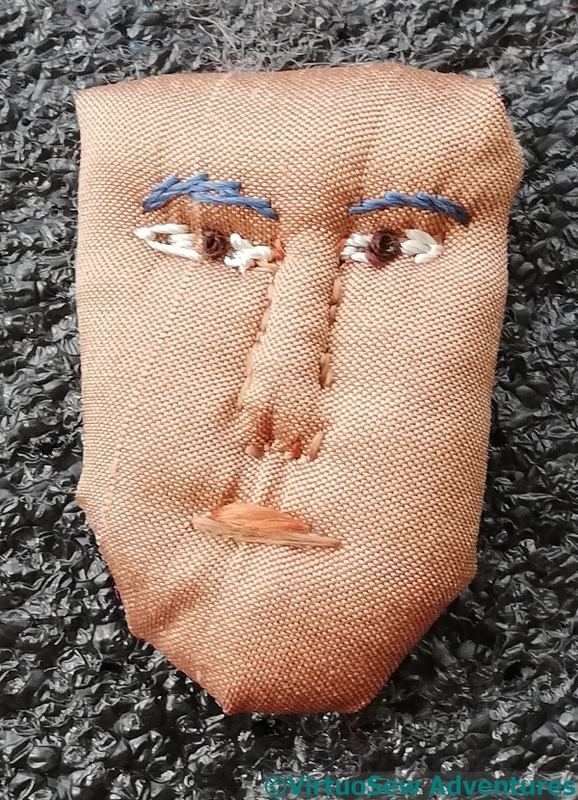 Good idea to use a felted base for the face. 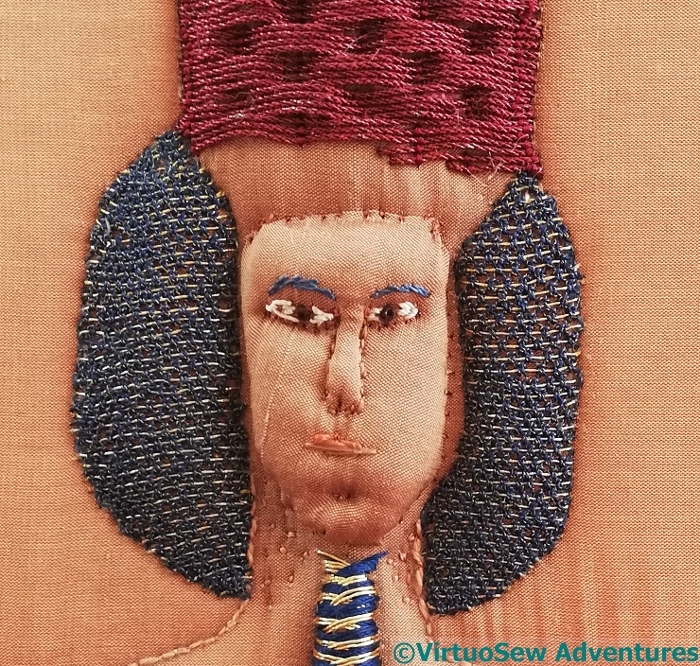 When I do the stump work portraits I stitch the nose by pinching a fold of fabric. 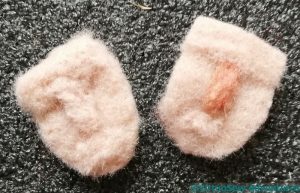 Another way is to stitch a canal on the face foundation fabric and then add knitting yarn from the back – just like TRAPUNTO. To get the facial expression we want is VERY difficult. I think the eyebrows are important. LoL about looking like an apoplectic trumpeter! Right out of my depth here as I have never tried stump work. I think Queenie will give you the best tips. He does look like he is about to blow bubbles! A difficult task but I´m sure in the end your perseverance will be rewarded..
Oh dear, the poor fellow! I imagine you are also working on a small scale which won’t help you at all. 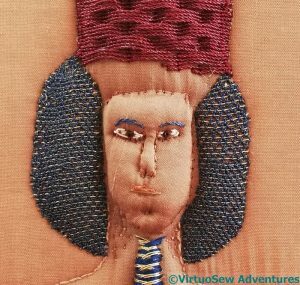 Could you tack the silk on or pin it to keep it in place whilst stitching the facial features? I’ve never done this type of work so I am well out of my depth! He definitely looks like an angry man, but the version I saw last on IG looked pretty good.